When it comes to working online, you can never be too safe. For quite some time, Internet specialists have been calling attention to the fact that numerous devices are exposed online, including surveillance cameras, medical devices, home monitoring systems, and more. Recently, a survey was conducted to identify computers with remote access software but with no password for security. Within just one hour, tens of thousands of computers were identified. That is certainly a frightening prospect and serves to underscore the importance of ensuring that your remote support is completely secure. Once a prospective hacker gains access to your network, there are virtually no limits to the damage that can ensue. The recent spate of data breaches reported in the news, including breaches related to payment information from point-of-sale systems demonstrates just how serious this situation can be. The question is what can you do to practice safe remote support computing? The solution is as simple as using RHUB remote support servers. RHUB remote support servers assist in ensuring the remote access of your computers is secure while working from behind your computer’s firewall. As a result, you are able to view and take control of unattended desktops, servers, and even point-of-sale returns all within the convenience of real time and from any platform. 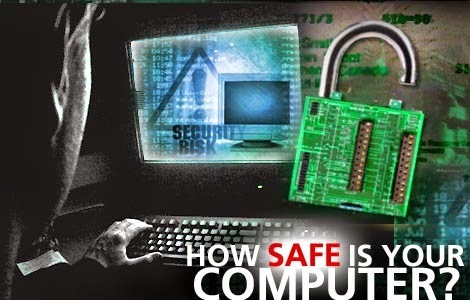 Furthermore, you can do so with the knowledge that your system is protected by unparalleled security. In considering how you can make your remote support more secure, it is important to remember that your security is only as strong as your weakest point. Unfortunately, remote support servers provide little in terms of access security. Additionally, remote support servers provide access to anyone who possesses a session ID and password. Such security can be compromised far too easily. All it takes is for the wrong person to read an email, gain access to someone’s calendar or use one of the many password cracking modules readily available. At that point, security is compromised and all of your confidential data could be vulnerable to an attack by a hacker. It can happen that quickly and that easily. By comparison, RHUB remote support servers provide the opportunity to establish a virtual VPN between attendees and the host. Consequently, this limits the scope of the session’s attendance to only internal locations and addresses or specified external IP addresses. It should be noted that such policies are specifically designed to work alongside your internal security servers, including routers, firewalls, and other types of security devices that your organization may opt to use. Ultimately, RHUB remote support servers offer the best possible security by restricting attendance to authorized attendees and locations. This works to prevent your systems and networks from hacker attacks. You gain the ability to work efficiently and with complete confident that your system is completely protected.